A simple and effective concept: 1,000 great sounds give you a quick injection of classic flavour. Good keyboard. Authentic sounds. Plenty of presets. Not much in the way of sound-shaping options. Keyboard is heavy. There are some synthesizers with names that have gone down in history as pioneering examples of progress and sonic possibility. The seminal Minimoog, the ARP 2600 and the Prophet-V to name but three - products which still fetch high sums when sold second-hand and objects of desire for us mere mortals who can't afford to enter such auctions. Arturia has softened the blow by painstakingly recreating a collection of these instruments, with wonderful sound quality and all the advantages of plug-in integration. 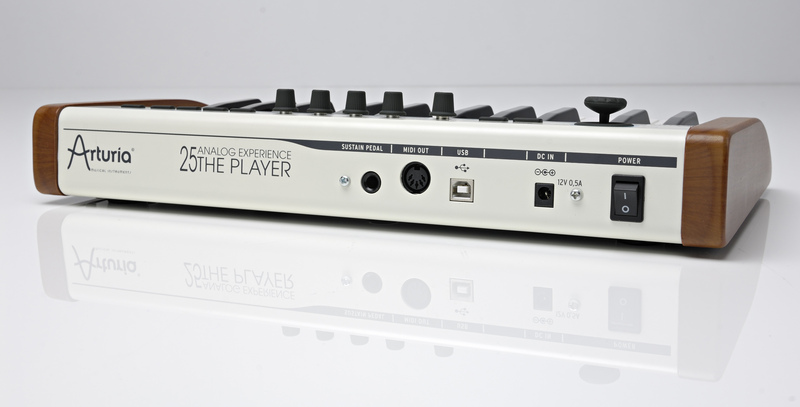 However, these too are perhaps beyond the reach of those on tight budgets so the company has developed a new package entitled Analog Experience The Player, a spin-off the excellent Analogue Factory software which we've loved in the past. 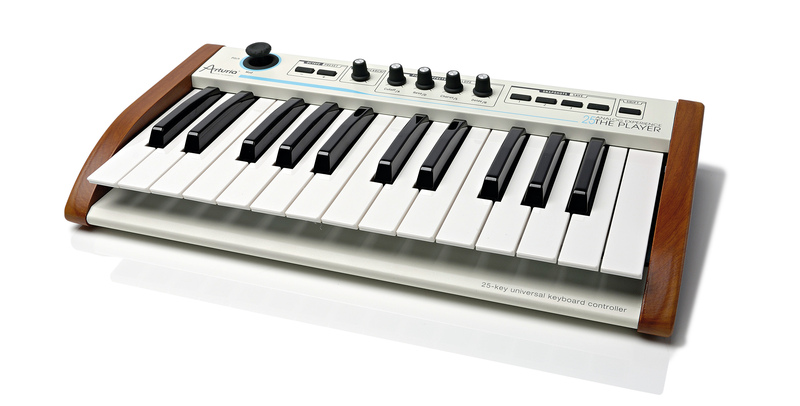 The model we're looking at here bundles a software engine offering 1,000 sounds taken from all of the titles in Arturia's range with a brand new, retro-styled 25-key USB controller keyboard. Eight synths combine to make up the sound bank available in the Analog Player, all taken from Arturia's V Collection. These are: ARP 2600, Jupiter-8, Moog Modular and Mini, Prophet-V and -VS and the CS-80. The way the plug-in GUI is organised enables you to choose sounds by instrument, type or a combination of both, so if you know you want a Minimoog bass or a Jupiter-8 lead, you can select accordingly. Each sound can then be tweaked using the interface below or via the new controller which features exactly the same control options. As far as sound-shaping is concerned, this is the area which programmers with 'fully-featured' soft synths will find most restricting, as you're limited to cutoff and resonance control, chorus and delay amounts and envelope control via attack, decay, sustain and release knobs. You can save tweaked sounds either to a user preset bank or to one of four Snapshot positions which are accessible on the right-hand side, enabling you to call up four different sounds quickly, increasing Analog Player's appeal as a live instrument. 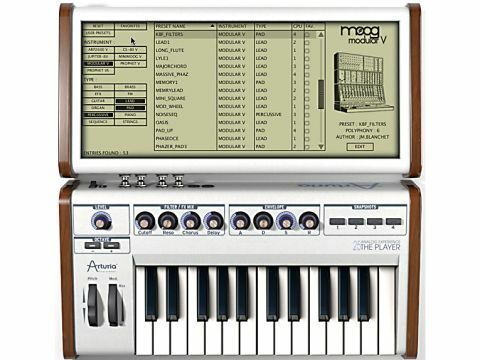 Clicking the Edit button below the instrument graphic for any preset does allow access to further parameters such as pitch-bend range, polyphony and the Step Size of sequences for presets which feature these but a lack of full sonic control remains Analog Player's deliberate limitation. If you've been admiring the soft synths in Arturia's range but lack the funds to get onboard, there's no doubt that the Analog Player provides a cost-effective way to get your hands on 1,000 hand-picked Arturia sounds, which are warm and impressively faithful to the sound of the synths they emulate.